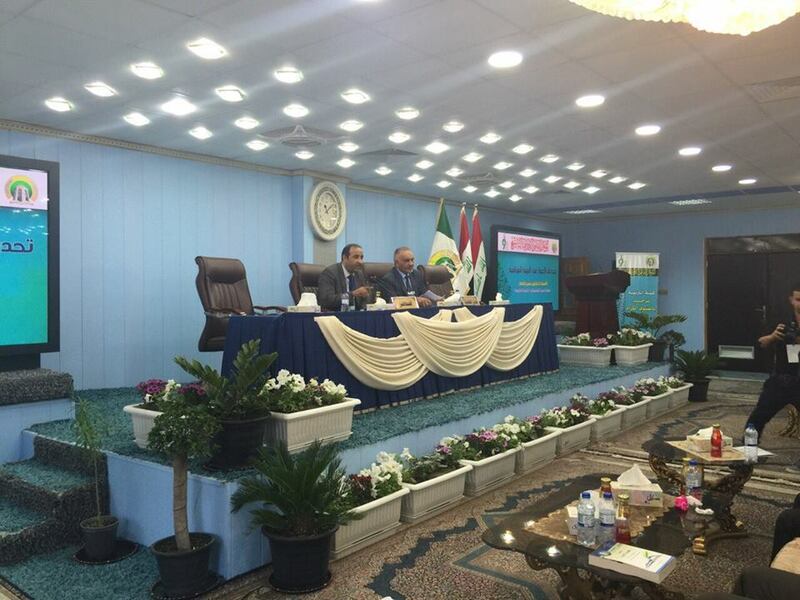 Dr. Hassan Nadhem, the Chairholder of UNESCO Chair at the University of Kufa, participated at the 9th International Conference hosted by the Faculty of Education at University of Wasit in Kut, entitled “Diversity of Thought for Communication and Co-existence” – 9th March 2016. In his lecture, he discussed several points pertaining the forms of intolerance in the Iraqi society, by that intolerance usually starts with cursing and ends with murder. He approached different ideas regarding the controversial Western concepts of tolerance, and presented the ideas of various Western thinkers such as Jaques Derrida, Habermas, and Edward Said. He argued that tolerance is allowing others to live peacefully without controlling their views and beliefs and that tolerance is possible if there is a democratic society. Dr. Hassan continued to talk about the crash of co-existence in Iraq after the year 2003 and about the unique moments when Iraqis from various religions joined together in solidarity. He presented a question about whether different religions can join together to celebrate diversity and find a symbolic link unifying both disparate religions and cultures. Previous: UNESCO CHAIR AT UNIVERSITY OF KUFA WELCOMES CHRISTIAN LEADERS TO DISCUSS – “RELIGION OF WORLD PEACE AND THE FUTURE”.